U.S. President Donald Trump on March 29 issued a new presidential permit for the long-delayed Keystone Xl oil pipeline, replacing the one granted in March 2017. The move provoked a backlash from conservation groups, which called it an effort to bypass federal environmental laws. The action comes after a court blocked the project in November 2018, saying the Trump administration had not fully considered the environmental impacts of the project. The U.S. District Court for the District of Montana, in a November decision, vacated the 2017 decision that issued a presidential permit for the project. The court said that that the U.S. State Department did not take a “hard look” at the environmental impacts of the project and disregarded prior climate change related findings. The ruling found that the analysis did not fully review the effect of oil prices on the viability of the project, potential for oil spills, and the cumulative effects of emissions. The decision bars the U.S. and TransCanada from engaging in any activity to advance the construction or operation of the pipeline and associated facilities until the department completes a supplemental review. The court allowed TransCanada to conduct preliminary work, while construction remains blocked. 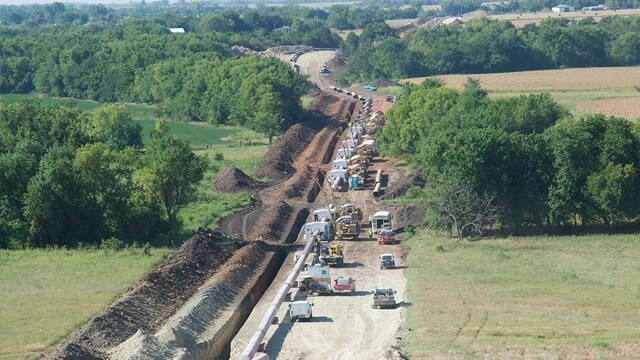 TransCanada submitted its first presidential permit application for the proposed cross-border pipeline project in September 2008, but the Obama administration denied the permit in 2012, citing environmental concerns posed by the pipeline route through Nebraska’s Sand Hills region. The 1,179-mile pipeline would run from the oil sands of Alberta, Canada, to Steele City, Nebraska, where it would join existing infrastructure, carrying 830,000 barrels of oil per day.